The most common cause for unbelief among young people is their wrong perception in thinking that faith and reason are in conflict and that the advances in science have proved that God does not exist. One of the myths peddled around ad nauseam is that the advances in science are slowly but surely discrediting religious belief, and above all, Catholicism. 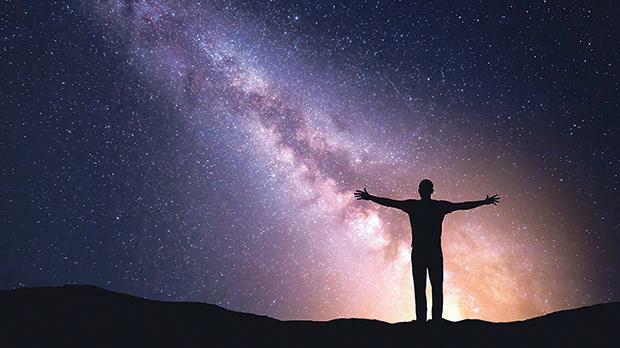 It, therefore, comes as a relief that a book on the subject, entitled Il-Ħolqien u l-Ħallieq – Ix-Xjenza u l-Fidi (Creation and the Creator, Science and Faith) has recently been published by Canon John Ciarlò that puts the issue in its true perspective. With the current Synod trying to address the need to reach out to young people more effectively, the availability of such a book could not be more timely. As Fr Ciarlò points out, research among American Catholics reveals that the most common cause for unbelief among young people is their wrong perception in thinking that faith and reason are in conflict and that the advances in science have proved that God does not exist. In his book, Fr Ciarlò gives a broad picture of the unbelievable contribution given by the Catholic Church to the advancement of learning and science. As a regular contributor and one-time editor of Malta’s Catholic newspaper Il-Leħen is-Sewwa, he had a rich source of his own articles to tap into. In these articles, he also presents arguments of prominent atheists such as Richard Dawkins so the reader is also presented with counter opinions. In addition, he refers to the Galileo case that has been flogged to death by those who want to present the Church as an institution inimical to science and the search of truth. Another section of the book includes essays by theologians, scientists and historians that approach the subject from various angles, thus enriching one’s outlook on this fascinating topic. This varied group include prominent Christians such as the outstanding Francis Collins, who led the Human Genome Project, the leading Rabbi Jonathan Sacks, who rebuts Stephen Hawking, and the papal communicator Fr Raniero Cantalamessa, who responds to the late, high-profile atheist Christopher Hitchens. Fr Ciarlò also includes an article by the Polish astrophysicist Fr Michael Heller, who is also a theologian and recipient of the prestigious Templeton Prize. Another very valid contribution is that of the historian Rodney Stark, who demolishes the false premise that the Church stifled scientific research. He points out that, on the contrary, Catholicism has made an immense and crucial contribution to scientific ad­vancement. It is pertinent to point out that Stark is not a Catholic and therefore has no partisan interest in defending this reality. He simply demolishes the fake history that has contributed to the false, widespread perception of the so-called conflict between science and faith. These arguments are underscored by a recent article in the Catholic Herald of October 12, 2018, entitled Heavens Above. The vice director of the Vatican Observatory, Fr Paul Mueller SJ, who has degrees in physics, history, philosophy and theology, proudly expounds its achievements. As early as 1578, Pope Gregory XIII started off this project which led to the Jesuit Angelo Secchi (1818-1878) eventually fathering the science of astrophysics. Fr Mueller concludes that science is searching for the truth that exists in “two books: the book of Scripture and the book of nature”, adding that “the truth is one because God is the author of both books”. This philosophy is hammered home in Fr Ciarlò’s book which enables the reader to absorb the arguments in measured doses as it is made up of short, self-contained essays. Such a book should ideally be included in the curriculum of sixth formers of Church schools so that it will empower them to defend the truth about this crucial topic. Ideally, it should also be translated into English so as to reach out to a wider audience. In an age of intense anti-Catholic propaganda, such an endeavour cannot be too highly recommended.